ndavis added a comment to D19812: Add a web page to view and compare icons of different sizes. TBH I wonder how useful this actually is. Hopefully some of the other folks involved in making icons (@ndavis, @GB_2, @trickyricky26) can comment on whether or not this would be useful for them. ndavis committed R242:176643f48c84: Fix wrong group names for 22, 32 px in audio.svg (authored by ndavis). ndavis closed D20825: Fix wrong group names for 22, 32 px in audio.svg. ndavis requested review of D20825: Fix wrong group names for 22, 32 px in audio.svg. ndavis accepted D20700: Add "edit-remove" icon symlink and add 22px version of "paint-none" and "edit-none". ndavis added a comment to D20746: Remove disable for showing only minimized tasks on Icons only task manager. @hein You appear to have been the one who created the first version of this line, but I can't figure out why it was added. ndavis abandoned D20654: Update elevation.rst to match default shadow settings. The change has been commited. ndavis added a comment to D20700: Add "edit-remove" icon symlink and add 22px version of "paint-none" and "edit-none". ndavis added a comment to D20693: Remove pixelated border. +1 for the change to the large thumbnail, but I think the smaller thumbnails need something to show that they can be clicked. ndavis committed R242:b5ec56091ed3: Add more icon sizes for audio, configure, distribute (authored by ndavis). ndavis closed D20695: Add more icon sizes for audio, configure, distribute. The 22px version needs to have 1px thick lines and 3px margins on each side. ndavis requested changes to D20700: Add "edit-remove" icon symlink and add 22px version of "paint-none" and "edit-none". I'll accept this if you also make 22px versions. ndavis added a comment to D20708: Change input-* device icon styles, add 16px icons. Actually, dialog-input-devices is used by inkscape for configuring pointing devices and tablets. AFAIK, only Inkscape uses that icon. If I made it show more types of devices, it would be more accurate to use a tablet. Looking at the Input Devices dock in Inkscape, it doesn't seem like it would be used much for configuring mice, so it might be better if it was just a symlink to the input-tablet icon. 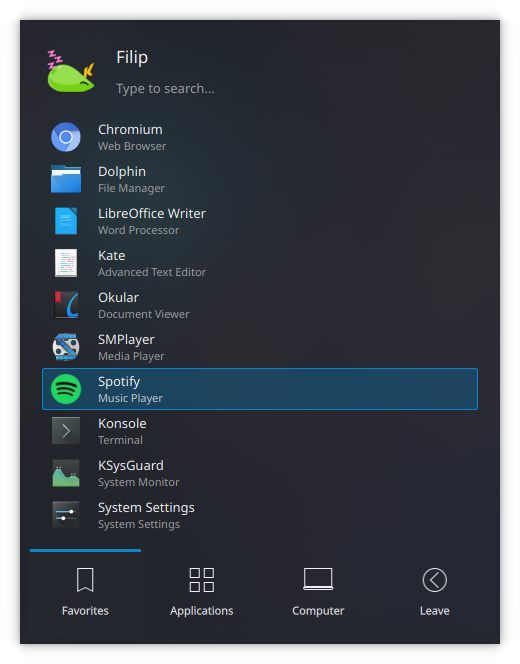 Instead of symlinking input-mouse to dialog-input-devices, I think it might make more sense to rename dialog-input-devices to be input-mouse and then change the dialog-input-devices so that it depicts more than one input device, to reinforce its name. Maybe a mouse + keyboard? ndavis accepted D20672: Add an icon for Thunderbolt KCM. ndavis requested changes to D20672: Add an icon for Thunderbolt KCM. Actually, one last thing. Can you save it as a plain SVG so that it isn't filled with Inkscape metadata? I like the new top color. ndavis added a reviewer for D20654: Update elevation.rst to match default shadow settings: KDE Human Interface Guidelines. ndavis requested review of D20654: Update elevation.rst to match default shadow settings. ndavis committed R242:cdad9c38c110: Fix stylesheet support for audio-volume-medium (authored by ndavis). ndavis committed R242:bd8264e92869: Update audio, drive, edit, go, list, media, plasmavault icons to match breeze… (authored by ndavis). ndavis closed D20623: Update audio, drive, edit, go, list, media, plasmavault icons to match breeze-icons. ndavis added a comment to D20623: Update audio, drive, edit, go, list, media, plasmavault icons to match breeze-icons. ndavis added a reviewer for D20623: Update audio, drive, edit, go, list, media, plasmavault icons to match breeze-icons: Plasma. ndavis updated the test plan for D20623: Update audio, drive, edit, go, list, media, plasmavault icons to match breeze-icons. ndavis requested review of D20623: Update audio, drive, edit, go, list, media, plasmavault icons to match breeze-icons. ndavis committed R242:0ff81fe4c728: Align z's to pixel grid in system.svg (authored by ndavis). ndavis closed D20597: Align z's to pixel grid in system.svg. ndavis updated the summary of D20597: Align z's to pixel grid in system.svg. ndavis requested review of D20597: Align z's to pixel grid in system.svg. ndavis committed R266:db9fdceac1ac: Sharpen Z's in system-suspend* icons (authored by ndavis). ndavis closed D20586: Sharpen Z's in system-suspend* icons. ndavis updated the test plan for D20586: Sharpen Z's in system-suspend* icons. ndavis requested review of D20586: Sharpen Z's in system-suspend* icons. ndavis added a comment to D20140: [GridDelegate] Fix gaps in corners of thumbnailArea highlight. ndavis accepted D20426: Improve "widget-alternatives" icon. I can't think of any more suggestions that would be an obvious improvement, so I'll accept this. ndavis added a comment to D20426: Improve "widget-alternatives" icon. Can you flip the direction of the 16px version? I know the icon you're copying the design of is also like this, but I think it needs to be fixed. ndavis committed R266:aaa6451d308e: Add go-up/down/next/previous-skip (authored by ndavis). ndavis closed D20435: Add go-up/down/next/previous-skip. ndavis updated the summary of D20435: Add go-up/down/next/previous-skip. ndavis updated the diff for D20435: Add go-up/down/next/previous-skip. ndavis added a comment to D20435: Add go-up/down/next/previous-skip. Now I'll need to turn window-keep-above and window-keep-below into symlinks to go-up-skip and go-down-skip. arc patch hates it when files or symlinks are converted to each other, so I'll hold off doing that until this gets accepted. ndavis updated the test plan for D20435: Add go-up/down/next/previous-skip. ndavis requested review of D20435: Add go-up/down/next/previous-skip. ndavis committed R119:e09cc99b5250: [Kickoff] Anchor right of subTitleElement in KickoffItem to arrow.right (authored by ndavis). ndavis closed D20399: [Kickoff] Anchor right of subTitleElement in KickoffItem to arrow.right. ndavis updated the test plan for D19736: Add view-orientation-auto/landscape/portrait. ndavis updated the diff for D19736: Add view-orientation-auto/landscape/portrait. ndavis retitled D20399: [Kickoff] Anchor right of subTitleElement in KickoffItem to arrow.right from [Kickoff] Anchor subtitle in KickoffItem to arrow.right to [Kickoff] Anchor right of subTitleElement in KickoffItem to arrow.right. ndavis requested review of D20399: [Kickoff] Anchor right of subTitleElement in KickoffItem to arrow.right. ndavis committed R119:51f7912368e6: [Kickoff] Reduce the margins of KickoffItem, KickoffHighlight and use… (authored by ndavis). ndavis closed D19874: [Kickoff] Reduce the margins of KickoffItem, KickoffHighlight and use smallSpacing. ndavis added a comment to D19874: [Kickoff] Reduce the margins of KickoffItem, KickoffHighlight and use smallSpacing. That's a lot of unused horizontal space, while the benefits of reduced padding are only for apps with really long descriptions (which are minority) or for people using a bigger font size for "Small" text. If everyone else is on board I won't object though. I haven't tested this with many different fonts, but the current version works well for Noto Sans at 10, 11 and 12 pts. ndavis updated the summary of D19874: [Kickoff] Reduce the margins of KickoffItem, KickoffHighlight and use smallSpacing. ndavis updated the diff for D19874: [Kickoff] Reduce the margins of KickoffItem, KickoffHighlight and use smallSpacing. ndavis updated the test plan for D19874: [Kickoff] Reduce the margins of KickoffItem, KickoffHighlight and use smallSpacing. ndavis accepted D20226: Add "notifications" and "notifications-disabled" icons. ndavis commandeered D19952: Added 2 icons (1 16px and 1 22px) named "input-num-on" that shows a num-lock key. Alright. I'll finish it when I have time. ndavis added a comment to D20226: Add "notifications" and "notifications-disabled" icons. Diagonal or round shapes are not required to be pixel grid aligned. Actually, it is not even possible, as there is always some antialiasing. It even helps to make round shapes a little bit bit larger than the pixel grid, so some of the corner/edge pixels are solid color. Also, could we create a 22x22 version too? How can you efficiently do that without having to realign everything to the new grid manually? The proportions aren't quite right. ndavis added a comment to D20189: Change default Yakuake skin to breeze compact. ndavis added a comment to D20166: Keep desktoptheme SVG files uncompressed in repo, install svgz. IMHO the SVG files in the repo may contain comments and metadatas, for further work on them. Like source code also has all the oomments and metadata. Only the deployed graphics resource should then be limited and optimized for what is needed at runtime. At least I had dealt with quite some "final rendered" SVG files I would have liked to modify for some needs, but could hardly as the base resources where not available (and if it was only guides & Co.). Strictly speaking, there's no need to optimize the SVGs as a part of this, so maybe, yeah, let's split that out into a separate feature (and one that the Breeze Icons repo would ultimately be interested in as well). Be careful that you are not stripping stylesheets when you use SVG Cleaner. scour is less effective than SVG Cleaner, but it doesn't strip stylesheets and it's available in more distros. ndavis accepted D20147: Improve executable dialog buttons' icons. Yes, this is much better. 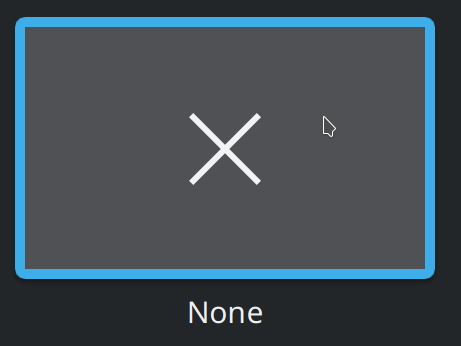 Wow, that application-x-executable icon is really blurry. Another alternative would be to turn the thumbnail outline into a real outline instead of a rounded rectangle behind the thumbnailArea. Then it could go on top of the thumbnailArea and the thumbnail highlight could fit perfectly inside of it. This would give previews of rectangular images rounded corners and is significantly more complicated than the current change, but I feel like it should be possible. ndavis committed R266:69d7182daffc: Sublime Merge Icon. (authored by otavva). ndavis closed D20063: Sublime Merge Icon.. It's probably going to be more noticeable for High DPI users. It seems like there must be a way to fix this rather than just removing the thumbnail radius. ndavis updated the test plan for D20140: [GridDelegate] Fix gaps in corners of thumbnailArea highlight. ndavis updated the diff for D20140: [GridDelegate] Fix gaps in corners of thumbnailArea highlight. ndavis requested review of D20140: [GridDelegate] Fix gaps in corners of thumbnailArea highlight. ndavis accepted D20063: Sublime Merge Icon..
@otavva I need your email and real name to land your patch with the correct author. If you use the Arcanist tool for patches in the future, you will need to make sure that your real name is set as your Git user name. ndavis added a comment to D20063: Sublime Merge Icon..
Oh wait no, it's not there yet, but it still looks pretty good. I don't that version is actually in the patch though. @otavva can you update this patch to have that version of the icon? Then we can get it landed for you. ndavis added a comment to D19952: Added 2 icons (1 16px and 1 22px) named "input-num-on" that shows a num-lock key. The rounded corners and bold 1 are not very breeze like, so I don't think so, unless he changes his design. Unless you still plan to do the icon yourself, you should probably hand off responsibility for the patch to someone else. 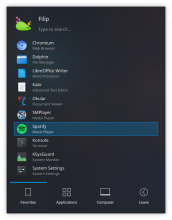 Sorry for the confusion, as I'm new to this I really need help and aren't able to do this alone, just just wanted to bring some attention to this and learn how to work with KDE. Thanks for all help, should we now use t-ask's first icon(the right one) or something else? ndavis added a comment to D8388: Do not hardcode unhovered windows brightness on present windows effect.